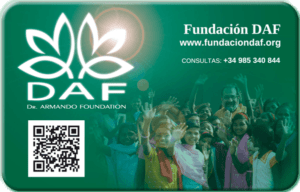 At the foundation DAF we are celebrating something new! 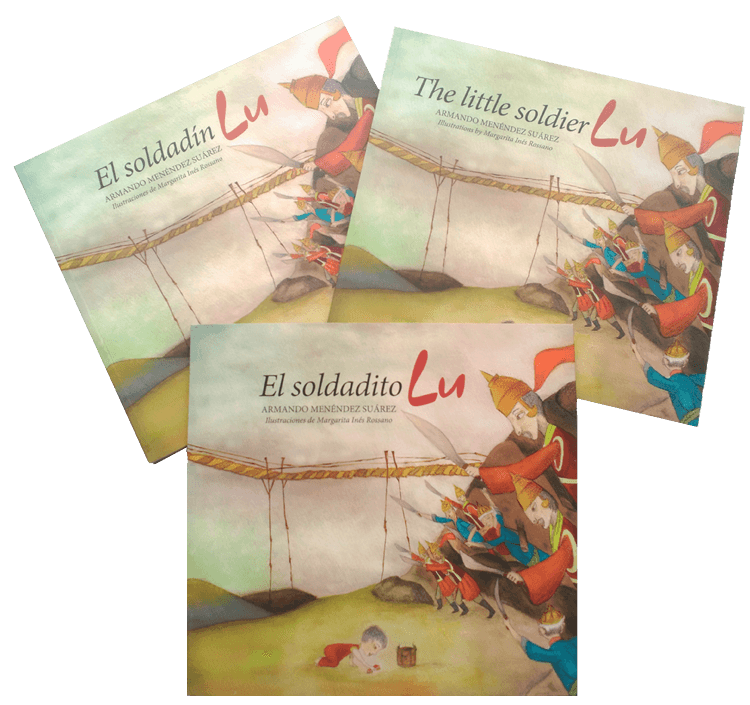 A book which has just been published called, “THE LITTLE SOLDIER LU,” written by Armando Menéndez, President and founder of DAF, with beautiful illustrations by Margarita Ines Rossano, well known Argentine artist who has embellished the pages of this story set in a Buddhist monastery in the Himalayas. There is no holy war, or just war. There is only one war worth fighting for, where bullets are made of love and compassion for those who are worse off than you, and bombs are an invitation to embrace and integrate. The warlords are not our masters and cannot force us to hate and discriminate. Lu invites all children to read his story; to make their own little world a space free of violence, friendly and embracing, where all the world is welcome regardless of race or religion. Many children will wonder, as Lu did himself: what can I do to do away with wars? The answer is the same one that Lu found: do not join those who harass or mock their colleagues, give a hand to those in need of help and always act thinking of doing good. Bear in mind that in wars, there are no bad guys nor good guys, but innocent victims, think about them and put yourself in their place. The good ones for Lu are those who avoid the wars, the bad ones, are those who impose their reasons by force. Always avoid conflicts and violence in your little world and solve the problems that arise thinking in the well-being of all, not only in yours. This way, you will be helping to abolish wars from the Earth. This story has been written with a twofold aim; to raise funds for our Foundation and to do our bit to ensure that wars and refugee camps belong only in history books and disappear from the news. 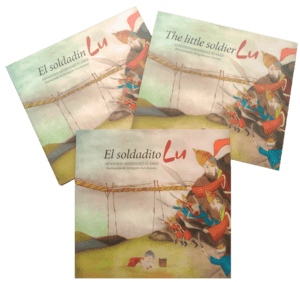 This book has been published in three languages, in Spanish: “EL SOLDADITO LU“, in Asturian: “EL SOLDADÍN LU and in English: “THE LITTLE SOLDIER LU“. You can’t miss this one! !